In the past five years, the global financial industry has experienced major disruptions thanks to innovative technologies in AI, Machine Learning, and Blockchain. The rate at which supercomputers are taking over the financial sector is leaving no doubt that the future of finance will largely depend on computer scientists and big data experts rather than the traditional financial advisors and traders. It is no wonder that the world top financial institutions are now hiring more quantitative analysts and computer scientists than the traditional financial analysts and investment advisors. The CFA Institute, the provider of the world most prestigious professional designation for financial analysts, has realized that it is no longer business as usual in the industry and is now including AI, Big Data, and Machine Learning in its Curriculum. On the other hand, Blockchain, the technology behind cryptocurrencies, is also having its fair share in the industry with analysts predicting that it will do to the financial system what the internet did to the media. Cryptocurrencies as an investment asset have seen explosive popularity since 2016 with Bitcoin the mother of all cryptocurrencies soaring above 1,500% in 2017 before crumbling 63% in the first month of 2018. Other cryptocurrencies (as of now there are over 2000 of them) are seeing the same level of growth and volatility, creating massive investment opportunity on the one hand and big risk on the other. As the amount of data on these digital currencies continues to pile up, crypto-traders are finding it hard to find investment insights manually. This has prompted the emergence of AI and Machine Learning driven solutions. The application of computer algorithms driven by AI and Machine Learning to analyze big data and execute stock trades is not something new in the mainstream financial markets. AI and Machine Learning can be applied in the crypto markets in similar ways to the way it’s used for data analysis. The key advantages of algorithm-driven investment decisions include speed and accuracy, which are the two most vital elements to success in the highly volatile crypto markets. Also, machine-driven trading does not require the trader to have specialized skills in a certain discipline or to have insider information to compete. For instance, Signals, a blockchain platform launched on the Ethereum Network, seeks to utilize Machine Intelligence in order to enable crypto traders to make smarter and faster trading decisions and maximize trading profits. With the Signals platform, both the experienced and inexperienced crypto traders can access trading algorithms ranging from traditional technical analysis to the sophisticated machine learning techniques. Another example is Robo Coin Advisor, a platform that has been work in progress since 2014. The projects, which claims to be the first robo-advisor for cryptocurrencies, combines AI with cryptocurrencies and blockchain to provide investors with daily forecasts and statistics relating to cryptocurrencies and their tokens. But how can we be assured that the trading algorithms are accurate and will make the right call when subjected to a lot of varying data? The answer can be found in back-testing. The process involves subjecting the algorithm to historical data in order to determine how it would perform in various scenarios. Platforms such as the Quantopian have been providing back-testing avenues for stock-trading algorithms and some are now offering such solutions for crypto trading. Another aspect of algorithmic investing that is bound to benefit crypto traders is market scanning for tradable news. In high-frequency trading, Computer algorithms equipped with Natural Language Processing are taught to scan and identify tradable news as it develops and execute trades instantly. This approach can be very helpful in crypto-trading given the crypto-markets volatility and sensitivity to emerging issues. For instance, in the recent past, news on regulatory crackdowns has proven to have a very big impact on the price movement of cryptocurrencies. With an algorithm that is trained to identify regulatory crackdown news as they emerge and instantly execute trades, traders can profit on their crypto holdings both on the bull and bear markets. 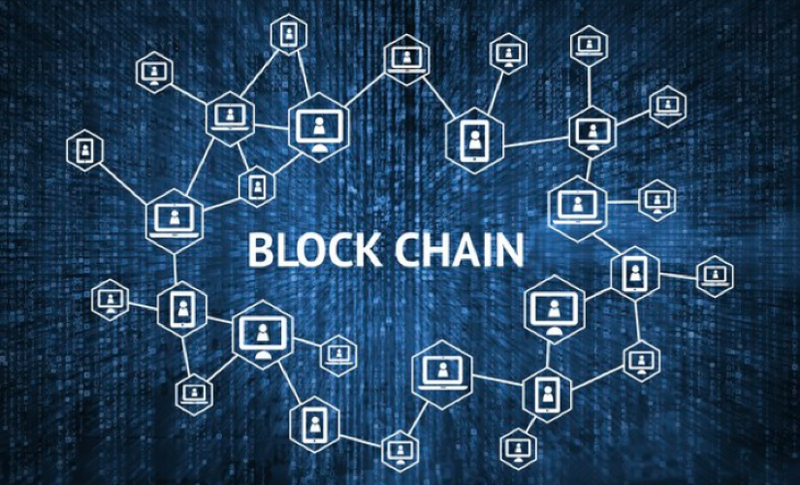 As blockchain and cryptocurrencies continue to gain traction in the mainstream society, the amount of data generated from related activities and transactions will keep growing. Long-term investors and day traders must, therefore, be ready to embrace cutting-edge technology if they are to remain competitive in this industry.